Sums to 7. 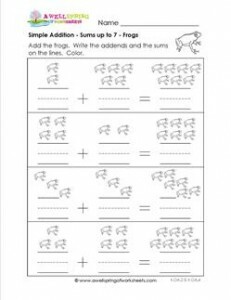 Count and add the little frogs in this simple addition worksheet. Write the addends and the sums on the lines. What do frogs say and how do they feel?